The City of San Bernardino is finishing improvements to the 4th Street Transfer Center at the Route 14 stop today. They are now beginning improvements on 4th Street westbound. We will relocate both Routes 4 & 14 to our old bus stop area adjacent to the Carousel Mall parking structure heading east on 4th Street between F & E Streets. We anticipate Route 14 returning to its normal parking location on F Street within a few days, but the Route 4 will remain at the temporary location for a few weeks while the concrete bus parking pad is completed. the temporary stop for Route 14. This will also be for only a few days while the original Route 14 stop is completed. Information has been posted at the Route 4 stop and bus stop signs have been adjusted. 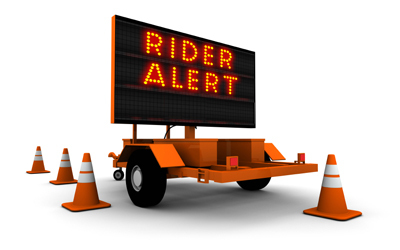 This entry was posted in Rider Alert and tagged bus stop closure, e street construction, omnitrans route 10, Omnitrans route 11, omnitrans route 4, rider alert. Bookmark the permalink.